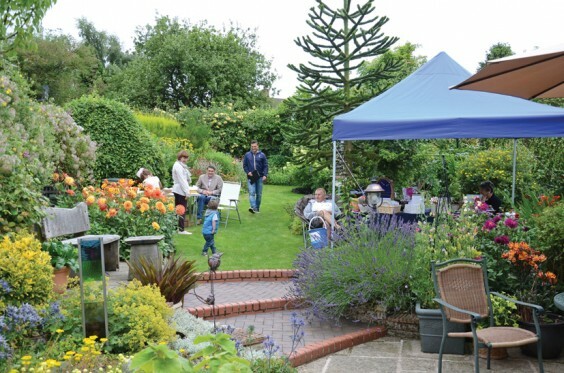 A Marlbrook garden enthusiast who was diagnosed with Parkinson’s disease two years ago is hosting a special summer garden party in aid of the Parkinson’s UK charity. Alan Nokes and his wife, Lynn, usually open their garden under the National Gardens Scheme as part of the Marlbrook Gardens group, and Alan is also the creator of the county leaflet for the NGS in Worcestershire. Parkinson’s UK has been one of the beneficiaries of the NGS for the past four years, but since being diagnosed and getting involved with his local Parkinson’s support group, Alan wanted to hold an extra event to raise awareness and funds for the charity. “I had been experiencing some of the symptoms of the disease for some months but although the news was not a total surprise, it was still a shock,” he says. On Saturday July 30, Alan and Lynn will host a “Come and Go Garden Party” with the intention that visitors can come when they like, stay as long as they like and go when they like. The event will be held in their landscaped garden, which includes a large vegetable patch and has been featured in several magazines over the years. As well as viewing the garden itself, visitors can enjoy tea and cake, a BBQ with pulled pork baps, plants for sale, a tombola, second-hand books, puzzles and games stall, craft stalls, a children’s garden quiz and a raffle. Every penny raised will go to the charity.